eebee is not a new name in our home. This is actually Carlee about 11 months old! Dancing to and eebee song! I was super excited when eebee agreed to let me feature them on Real Mom Reviews. I was sent the “Almost Bedtime” book to review, and of course Carlee, even over a year later, still loves eebee!! 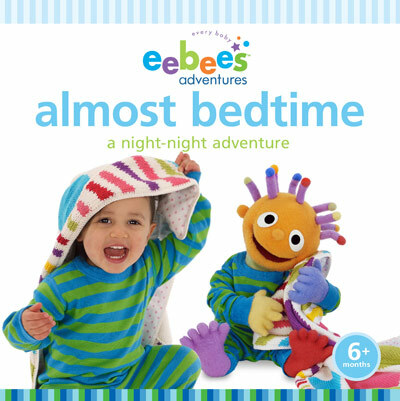 eebee’s “Almost Bedtime” adventure is a gentle celebration of those everyday rituals that happen when a baby’s playtime is over and it’s time for wash-up, pajamas, story time, one more hug and the magic of night-night. “Almost Bedtime” asks “are you ready?” with a smile and “good night” with a loving sense of humor. I highly suggest eebee to every parent out there! Check out YouTube for some videos, I guarantee you’ll be singing along! The following is my favorite song! via Real Mom Reviews: Eebee’s Almost Bedtime Book.